The Moon is waning and in its Last Quarter phase until 12:32 PM, after which the Moon is in its Waning Crescent phase. The Big Dipper, a crescent Moon, and other cool things to look for in the sky this week. The waning crescent Moon points toward three planets and a star this morning. The slim crescent stands 6° above Venus with Leo the Lion’s luminary, magnitude 1.4 Regulus, 3° below the planet. Mars and Mercury huddle 11° below Venus. This evening provides a nice opportunity to see Saturn’s seven brightest moons through a telescope. The toughest to spot normally are the two inner ones — Mimas and Enceladus — which never stray far from the rings’ glare. But tonight, the two satellites reach greatest western elongation within two hours of each other. Tethys, Dione, Rhea, and Titan show up more clearly because they glow brighter and lie farther from the planet. Distant Iapetus rounds out Saturn’s “magnificent seven” satellites on display. If you draw a line from Saturn to 8th-magnitude Titan and extend it an equal distance, 11th-magnitude Iapetus will be right there. Ma’at is the Egyptian goddess of truth and justice. She is married to Thoth, and is the daughter of Ra, the sun god. In addition to truth, she embodies harmony, balance and divine order. In Egyptian legends, it is Ma’at who steps in after the universe is created, and brings harmony amidst the chaos and disorder. While many Egyptian goddesses are presented as tangible beings, Ma’at seems to have been a concept as well as an individual. Ma’at is not just a goddess of truth and harmony – she IS truth and harmony. Ma’at is also the spirit in which law is enforced and justice applied. The concept of Ma’at was codified into laws, upheld by the kings of Egypt. To the people of ancient Egypt, the notion of universal harmony and the role of the individual within the grand scheme of things was all part of the principle of Ma’at. In her role as goddess, the souls of the dead are weighed against the feather of Maat. The 42 Principles of Ma’at were to be declared by a deceased individual as they entered the underworld for judgment. Because she is not just a goddess, but a principle as well, Ma’at was honored all throughout Egypt. She is often depicted, like Isis, with wings on her arms, or holding the feather of an ostrich in her hand. She typically appears holding an ankh as well, the symbol of eternal life. It was a Pharaoh’s job to ensure law and order were enforced, so many of them were known by the title Beloved of Maat. 1. Do the grounding exercise above. 2. After you have completed the grounding exercise do not let go of the earth. 3. See yourself in a dark room. 4. Hold your hands out and visualize a bright ball of energy drawn up from the earth. Do not discard it if you don’t get white. Each person’s energy that they draw from the earth is different and resonates with them. Allow it to grow in your hands till it is too heavy to hold. Let it drop and grow till it is big enough to walk into. 5. Walk into the energy. Feel it surround you. 6. See it seal around you and become an unbreakable sphere around you. 7. Come back to yourself refreshed. Saturday is the sixth day of the work week. It’s officially the weekend. Some see it as one of the luckiest days for gambling. It’s one of those days where you can do what you need around your home and relax, as well. You can take care of a little business then, reap the rewards. It’s a really good day to do collect, courage, reap, gamble and exercise spells. Light a white candle and close your eyes. Think about the money that is owed to you and how you feel about that situation. If you are angry at the person who owes you money, get rid of that anger now. Get the sheet of paper, bottle of glue, and a penny, and place them in front of you. Now, write down how much is owed to you on the sheet of paper. After that, below where you wrote the figure, glue the penny to the paper. Allow the glue to dry. Without breaking the penny from the paper, roll the paper up and tie the gray ribbon around it. Place the scroll you just made under your bed. Soon, you should be able to collect the debt. Once you collect the debt, remove the penny, give it away, and discard the scroll. Fill a glass with two ounces of warm water. Add a pinch of orange peel. Let this soak for an hour. Then, soak the orange strand of yarn for about thirty minutes. Take out the yarn, discard the water, and hang the yarn out to dry. Once it has dried, string the three beads onto the yarn. Lastly, tie the yarn around your wrist and cut off the excess. From this moment on, whenever you feel scared, look at the bracelet and you should feel courageous. Light a brown candle on a fire-proof surface. Nearby, lay out a sheet of green paper or cloth in front of you. At the far end of the paper or cloth, place three cotton balls. These cotton balls represent sheep. Bring the cotton balls toward you and blow out the candle. Whatever you’ve been working on should bring you good rewards. Rosh Hashana, the Jewish New Year, is a time of new beginnings. On this day, the best clothes were worn and “Good Year” greetings are exchanged. Originally this was a one-day festival and the Fast of Trumpets, at which the shofar was sounded. For the Jewish community this is a time of judgment, repentance, soul-searching, and also of augury for the coming year. This is an entirely public festival, in contrast to the domestic nature of most Jewish holidays. In earlier times, a ritual cleansing was enacted by casting one’s sins into the waters. Today, when possible, Orthodox Jews still assemble near the water for this rite. This can be an excellent, if impatient, time for getting going on a health, wellness, or work project, Aries, as you’re tired of only thinking about things – you want to get things moving. The pace picks up surrounding work or daily routines now, and there can be some tension as you become fed up with a situation that has been dragging on too long! The urge to sort out little problems, iron out flaws, and eliminate waste or excess is strong, so use this extra energy boost to clear up the clutter in your daily life. Watch for sharp or rude words — or communications that can be misconstrued as such. While it’s important to express yourself, watch that you don’t push it too far. Others may not be working quite as quickly as you are, or contributing as much, and this can be frustrating. 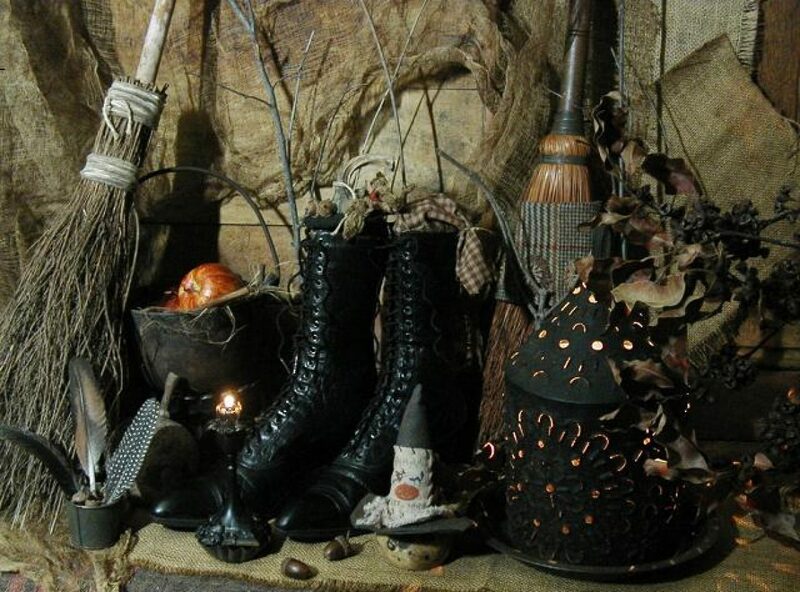 Overall, however, this is an active day for tending to practical affairs with enthusiasm. 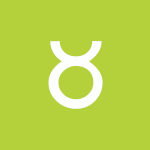 A tremendous urge to express yourself in a creative, unique manner grabs hold of you today, Taurus. You’re ready to make quick and sharp decisions, particularly concerning love relationships, entertainment, pleasure, dating, creativity, and children. Mental excitement may cross the line into irritation or aggravation, so watch for this. Try to tap into your courage to make a move rather than give in to impulsive communications or steps. Decisions tend to be sharp and come rather quickly but could be lacking an emotional element, so watch for getting ahead of yourself, but do put a creative idea into motion with confidence today. 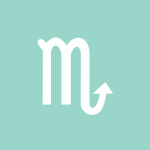 Mercury and Mars join in the sign of Virgo today, dear Gemini, and while this can push an issue forward, because it’s occurring in challenging aspect to your sign, tension is also possible now. Stress in small — not prolonged — doses can be good for you, so if you find yourself worked up today, do something productive about it. If you feel cooped up and restless, you’re more likely to either stew about a frustrating matter or get yourself into a disagreement. Take a detour from your usual routine just to keep emotional excitement levels high. For some of you, family, home, or inner life is animated, vivid, and exciting. Again, however, this can border on agitation, so be sure to find channels for expressing yourself constructively now. Solve rather than make problems today! This is a high energy day on a mental level, dear Cancer, and you can very easily become all wound up! It’s a time when something that has been dragging on too long frustrates you, and you do something about it. It’s also a “last straw” time. Keep in mind that a lot is going on in your head, and you may end up talking ahead of yourself and possibly misrepresenting yourself as a result. You’re passionate about what you do today, and probably very excited about sharing ideas or stating your case. Learning is quick and easy now. New ideas can be all-consuming and exciting. News that you were waiting for can finally arrive. This is a great day for exciting ideas about business, money, practical matters, learning, and studies, dear Leo. You want to solve problems now, and you’re not content with merely thinking about something — you want to do something about it! Keep in mind that the energy that generates so much enthusiasm today can also lead to impatience, so as sharp as you are today, watch for skipping necessary steps. If you’ve been in a situation where you feel someone is taking advantage of you in some way, you’re likely to get to the “last straw” moment today, and what comes out your mouth can be intense, surprising even you. Channel all this mental energy into an important project if you can. 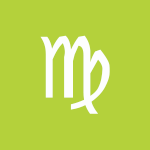 Mercury and Mars join in your sign, dear Virgo, giving you a powerful voice and the courage to say your piece. Even so, this is an impatient energy, and it’s important to avoid getting ahead of yourself. You are filled with energy and vision today, so try not to waste it on arguing a point. The temptation to blurt something out can be overwhelming now. 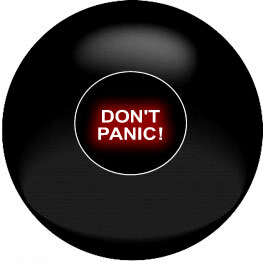 As well, it can be a little too easy to push your buttons! Quick conclusions may lead to regrettable commentary or decisions. Be careful that you don’t push something to a breaking point, or push yourself too hard. Apply your tremendous mental energy to something productive and useful. You’re moving a little bit outside of your comfort zone these days, and this is an important process. A lot is going on inside of you today, dear Libra. Your thoughts could race at times, and your dreaming mind is active as well! Unless you’re channeling it into something creative and positive, avoid letting your imagination run away from you. You may want to gather all the facts before jumping to communicate about a new observation. Watch also for an overactive curiosity — you may think you’re ready for something, but you haven’t checked in with your heart on the matter. On the other hand, it’s possible that you get to the point of frustration and this acts as a push to say something that needs to be said. There can be new and exciting developments in your private life or a breakthrough related to your attachments or insights into a long-standing problem. Mercury and Mars join forces in a sign that’s compatible with yours today, Scorpio, and this can be an excellent opportunity to put a great idea into motion or to settle a long-standing problem, once and for all. You’re motivated and inspired by new visions of your future, and you can be gathering exciting ideas through your connections to others. On the other hand, there can be some impatience or aggravation with an associate, group, or friend. A rude awakening may or may not work in your favor, so choose your battles wisely now, or if you feel compelled to bring up a touchy subject, take extra time to express yourself mindfully (although this can be hard to do today). If you channel energy with you today well, you can team up to make something exciting happen. This is also a time to act on your wish list. Your words and actions are more noticeable and seem to come with more consequences than usual both good and bad these days, dear Sagittarius. 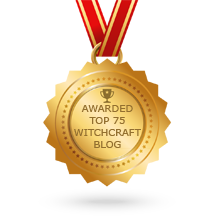 This is because both Mercury and Mars are at the top of your solar chart, attracting a lot of attention. Today, they join forces, and this aspect not only stimulates your impulsive side, but it can also give you a real competitive edge. What’s important now is that you avoid blurting something out or pushing your limits (and others’ limits) too far. 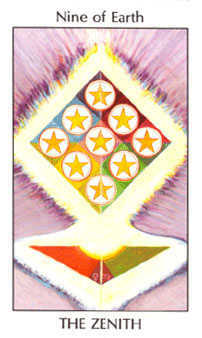 Your heart may not be in the equation today, which can point to some form of misrepresentation if you’re not careful. However, you can use this energy to your advantage. In fact, it’s a great time to pour yourself into a project that gets you somewhere, and you’re in a fabulous position to tear down obstacles in your path and solve problems. This is a time for being forthright yet also sensitive to your audience, especially in public or professional arenas. You can feel as if you’re on a mission to find out the truth of a matter now, Capricorn, but as you do your seeking, watch where you step, both literally and metaphorically. You’re certainly mentally sharp now, and this is excellent for intellectual and business-related endeavors. However, you’ll probably need to pay extra attention to emotional cues when it comes to relating to others on a personal level, as you are living in the mind today. You might easily defend a cause or express an opinion, and possibly get into a heated debate. Educational, work, or travel news may be forthcoming now, mainly things that were left up in the air earlier this month. You can be excited to learn a subject more deeply. It’s an excellent time to pursue anything that involves healing the mind or paying particular attention to the mind-body connection. Share your joie de vivre with others now and watch for the opportunities that open up as you do. Watch, however, for impatience if others are not moving as quickly as you are, and for sharp words. This is a day of high emotional and mental energy, Aquarius. A Mercury-Mars alignment can get your mind reeling and pulse quickening. Ideas work you up, and you may feel a little fed up with a situation that’s been dragging on too long. Tap into the motivation to do things that you’ve been letting slide. An important conversation occurs, or news can arrive on financial or relationship matters. An intimate conversation can be very revealing, and you express your feelings more courageously than usual today. Your desire to get to the truth of a matter can work for or against you, depending on how you handle it. In your conversations, watch that you respect your limits and others’ limits, too. Fortunately, you are sharper than usual, and this can help you make the right choices. Treat impatience as your enemy, and you’ll be in a good position now. Mercury and Mars join in your partnership sector today, Pisces, and you can easily become all riled up, or you experience this through someone close to you. There can be a strong need for taking action today, or possibly an aggravation or assertion from a partner who wants to take the lead. Someone may be very intent on getting under your skin or could be trying to turn you on to an idea or plan. It’s very easy to get yourself into an argument, even if you are not doing so intentionally, so choose your battles wisely! You could find you’re attracting disagreement or conflict today, but a confrontation may be just what a relationship needs right now. Try to channel the extra energy you have into truly productive activities. You have great facility with words–for good or for bad! While you can be highly entertaining and witty, sometimes your words bite, and you may come across as too opinionated. However, you are exceptionally kind and helpful to people you love. Security is extremely important to you, and you resist change as a result, preferring the tried and true. You are at once determined and emotional, so that there is a distinct tough side to your nature, yet a deeper, more sensitive and intuitive side as well. You love to learn, and will constantly seek out experiences that add to your knowledge throughout your life. Famous people born today: Lauren Bacall, B. B. King, Peter Falk, Mickey Rourke, Jennifer Tilly, Molly Shannon, David Copperfield, Ian Harding, Amy Poehler, Alexis Bledel. The Moon joins with Venus in your romance and creativity sector today, Aries, and this points to a party mood as well as great personal appeal. Boosting this further is a Venus-Uranus trine. 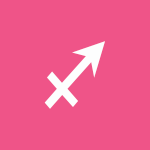 With Uranus in your sign, your independence and unique style are playing a significant role in your appeal today. You’re particularly open to experimenting with feelings, cravings, and ideas, and you’re drawn to pastimes, pleasures, and people that/who break the mold today. Your willingness to detach yourself just enough to enjoy new experiences is quite attractive to others right now. As well, losing the unhealthy expectations of people you love does wonders for your interactions. Today is perfect for following your heart, expressing your affections through your sense of fun, and treating yourself to some extra time to play and create something special. A surprise attraction may be part of your day or a partner could bring a pleasant surprise into your life. The Moon in your home and sector all day certainly stimulates your need to lay down roots today, dear Taurus, but this doesn’t have to be boring. In fact, the Moon aligns with Venus in this sector, and Venus forms a lively, harmonious aspect to Uranus, prompting you to shake things up just enough to enjoy yourself more thoroughly. This can be a day for a pleasant surprise on an emotional level, a blast from the past, or an increased sense of confidence about the future. You’re more accepting of any unusual or new feelings you’re experiencing now, embracing them fully. There can be a fun secret to keep or an exciting line of thought that motivates you today. It can be a good time to do or explore something different, particularly with family or other close loved ones. Emotional blocks free up today! Be willing to break down barriers. 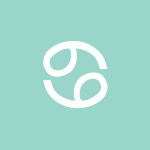 The Moon spends the day in your communications sector again today, Gemini, and this stimulates your desire to learn, connect, and share rather than do the same old, same old. Your curiosity is encouraged even further with a Venus-Uranus trine today that prompts you to think, speak, and learn outside of the box. You’re in need of a breath of fresh air, and monotony simply won’t do! You could have a surprising new crush, craving, or interest. Unusual or unconventional advice may be part of your day. You may be pushing boundaries just a little in your conversations and interactions, and this can lead to exciting discoveries. People are particularly enamored with your unusual ideas and progressive outlook today. It’s a great time for personal appeal on a mental level. 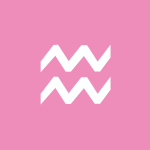 On some levels with the Moon in your resources sector all day, you are seeking more predictability and comfort than usual, dear Cancer. However, with a Venus-Uranus aspect in play today, there is a distinct part of you that wants to do things differently nevertheless. This works for you now – you can combine comfort with excitement in creative ways. You’re particularly willing to try on a new feeling, method, idea, or interest related to money, business, or work, but this can apply to your personal life, too. Unexpected developments at or with work or with plans can prompt you to do something out of the ordinary and tend to lead to pleasant surprises or discoveries. Your intuition regarding business and financial matters is excellent, and there could be a great buy or find now. For many of you, this is a time for having more courage than usual to draw on a talent and share it with others. 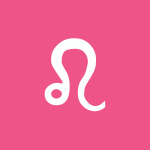 This can be a time for sudden or unusual attractions, experiences, and good will, dear Leo. 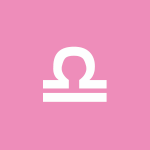 The Moon is in your sign, emphasizing your emotional needs and spontaneous side, and aligns with Venus, highlighting your most likable and attractive qualities. As well, Venus in your sign connects with Uranus, encouraging you to connect with people who inspire you — or experience different pleasures and pastimes with the same effect. You’re in the mood to try something new. It’s a great time to experiment rather than lock something down, and thoroughly enjoy the process. Opportunities emerge from breaking out of your routine, and this breath of fresh air inspires you to discover unusual methods, solutions, and experiences. People are attracted to your originality right now, particularly your intelligence, ideas, and beliefs. There is a retiring quality to you today, dear Virgo, as the lunar cycle winds down and you approach a New Moon in your sign (on the 20th). Even so, there is excitement in the air, and you’re likely to want to do something — or feel something — out of the ordinary now. You may very well break out of an emotional rut or pattern in inspired ways now, as you tend to come at things from a new angle, and perhaps even release a burdensome secret or decide to let go of an attachment that has been dragging you down. It’s easier to approach private or confidential matters with less attachment or concern about outcomes today, and this puts you in a more enjoyable, free-spirited mood. This can also be a great day for experimenting in a relationship. 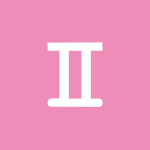 The Moon spends another full day in your friendship sector, Libra, and connects with your ruler, Venus here, highlighting benefits from attention to your social life. Mix things up today, as a Venus-Uranus aspect encourages you to experiment, think (and feel) outside of the box, or lose some self-consciousness and enjoy yourself more thoroughly as you do. It’s a perfect time for connecting with people who inspire you or who you inspire — a mutual fan club situation, perhaps. Inner restlessness doesn’t always lead to trouble. In fact, today, it can nudge you in the direction of pleasant change. You may be liberating yourself from a burden or embracing the idea of progress and new approaches and attitudes, particularly in your relationships. Love can bring pleasant surprises today. A Venus-Uranus transit can stimulate a desire for a change in routine today, dear Scorpio, and you’ll likely get a pleasant one now. There is good energy with you today for social pleasures and inspiring interactions but also for professional networking. The social mood is friendly, progressive, and detached just enough to that you forget your troubles and enjoy yourself a little more than usual. This is not always your favorite atmosphere, but it’s great right now as a change of pace. When it comes to career, work, reputation, and health, you’re up for a bit of adventure or new ideas, and possibly quite willing to change up your methods in the process, and this can open up new opportunities. 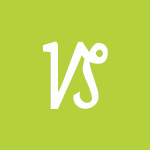 Venus is your partnership ruler, suggesting that a partner may be a harbinger of change today, or can be more open than usual to make changes. The Moon spends another day in your adventure sector, Sagittarius, and today, you’re in a great position to enjoy this brief but inspiring transit. Try to get all of the important stuff done before the evening, after which it’s a good time to wind down. A Venus-Uranus trine in fellow Fire signs gives you a taste for something different, particularly when it comes to self-expression, personal enjoyment and entertainment, pleasures, and learning. Your spirit for adventure may show itself in your imagination, cravings, and dreams, but you’ll be at your best if you can share it with others or find channels for expressing yourself today. A break from the routine is important now as it helps your intuition kick in more completely. Attractions and desires can be sudden, unusual, and possibly temporary, but that doesn’t mean you can’t thoroughly enjoy them and take the experience forward with you. As you entertain the new, opportunities or cool finds can emerge. 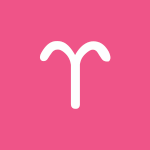 The Moon spends another day in your intimacy sector, dear Capricorn, and this stimulates the desire to attach yourself to something or someone. However, you’re craving some variety and perhaps a bit of detachment from the usual feelings today with a Venus-Uranus transit active, stimulating your emotional sectors. You can find unusual feelings, interests, and sensations particularly attractive. The idea today is to open your heart and mind to allow for new and different possibilities to flow in. From time to time, you can benefit from playing with new flavors and thinking a little outside of the box on an emotional level. This way you can break out of emotional ruts. You could solve a mystery or problem now. You might experiment or learn something new on an intimate level, or learn about your own psychology. The Moon joins with Venus in your partnership sector today, Aquarius, boosting your relationships. As well, Venus harmonizes with your ruler, Uranus, adding more punch to the mix. Good feelings can prompt friendly gestures today, which in turn can lead to wonderful experiences. Open up and enjoy yourself today. Communication channels open up, and if they don’t, find new ways to connect and communicate with others now. Problem-solving is enhanced, especially when inspired by a friend or partner. Communications or projects that are progressive are most appealing and especially favored, as well. Love is easy, although a little detached. Freedom and acceptance are key themes in relationships right now. This is not the time to fall back on old habits in your writing, speech, and interactions. 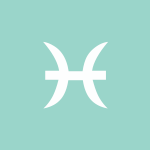 While the Moon spends the day in your work and health sector, and these areas are in stronger emotional focus, dear Pisces, you’re also craving a little more than the usual routine. A Venus-Uranus transit inspires you to shake things up, try new things, and think outside of the box. You’ll find it natural to combine work and play, and this can involve bringing more fun or creativity to your chores, job, and routines. This can be a time for dreaming up a new business idea, stumbling upon a fabulous find, making a fun purchase, or redesigning something. You need a change of pace and monotony is uninspiring today. Taking a more relaxed and creative approach to your life now leads to improvements and opportunities. Be flexible and willing to entertain the unusual now for best results. Relationships on the job can benefit for some of you. This fortunate individual has turned a historical accident into a personal opportunity. This is one who has the vision and strength of character to hold onto gains against all odds. 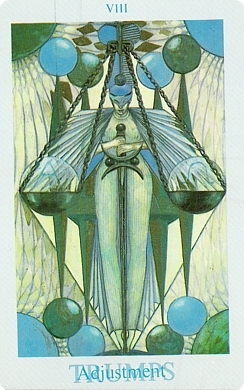 Do not be fooled at the apparent ease displayed on this card — the person pictured is at the tail end of a long and stressful process of winning the right to be taken seriously. All of this grace has been paid for several times over. Are you involved in a relationship with a dominating personality? Does this person just keep on taking just as much as you can give? Let the image of a ‘steamroller approaching a bruised peach’ flash through your mind. Do you really want to be either the former or the latter? 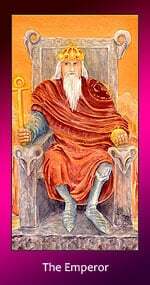 The Emperor card selected you to urge you to get back in touch with your inner strength and power. Overnight you may have discovered a heightened awareness of everything around you. This might be happening because the spirit of the famous poet you once were has returned to you. Where daily existence was once less defined, now every little detail holds a deeper meaning for you and this makes the mystery of life even greater. 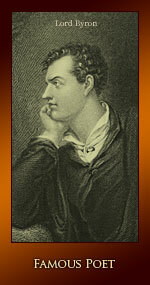 Of all the poets, only a chosen few can capture the minds of others. As you nurture this more sensitive awareness of the world, you may be inspired to create your own poem or work of art. This is a great time to get out of the house and meet people in group settings. Perhaps you can volunteer to help others. After all, when do you ever meet anyone just sitting on the couch? Stop worrying about everything so much. The number 2 represents an overabundance of yin energy. Relax in any way you can today! Have faith that everything is going to work out. Soon, yin will reach a balance with yang energy again, but you can’t keep going at this rate. Being an exposed nerve is repelling what you’ve been waiting for. Waiting is a process. Good things do happen when you are patient. You are shedding more karma as your patience strengthens. But don’t rush to celebrate yet. Wait until your gift arrives and tensions ease up. Cranes have been revered for centuries in many Oriental cultures, symbolizing good fortune and long life. 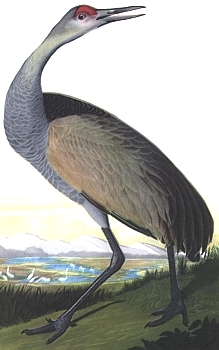 If Crane has flown into your reading today, he brings a message of good tidings. Be prepared for something special today—emotional balance, good health, a spiritual “ah-ha!”, or simply pure joy. There are papers in your near future. This aspect is affect by legal papers of some kind–a contract, a deed or a license of some kind. These papers will bring improvement to your life. The people of Tibet are most superstitious. It is the custom for almost everyone to wear charms. The Amulet-box illustrated contains small inscribed scrolls covered with magical characters. These magical formulae are written and blessed by their Lamas. The scrolls are believed to be all powerful spells for appeasing evil spirits, keeping the wearers from all physical harm, safeguarding them from every kind of danger, and protecting them from the blinding effects of the evil eye. 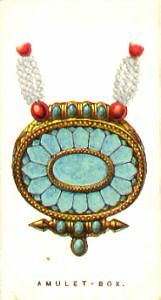 Many of these charm boxes are of gold elaborately chased, and encrusted with turquoise. Hmm, I really, really should know better by now! Before dawn in the next two mornings – September 17 and 18, 2017 – the waning crescent moon and dazzling planet Venus pair up in the east before sunrise. Given clear skies, it’ll be hard to miss them. The moon and Venus rank as the second-brightest and third-brightest celestial bodies, respectively, after the sun. Some sharped-eye people might even see the moon and Venus after sunrise. If you get up before dawn, or about 120 to 90 minutes before the sun, you should have little trouble spotting the star Regulus a short hop below Venus. Although Regulus is a 1st-magnitude star, it pales next to Venus, which outshines this star by a good hundredfold. Watch for Venus to pass about 0.5o of Regulus on the mornings of September 19 and 20. For reference, 0.5o is the equivalent of one moon diameter. Given an unobstructed horizon in the direction of sunrise, people in the Northern Hemisphere also have a good chance of spotting the planet Mercury, the solar system’s innermost planet, near the sunrise point on the horizon. As the predawn darkness is first giving way to dawn, look for Mercury more or less on line with the moon and Venus. Mercury is quite bright – some 8 times brighter than Regulus – so it may be visible even after Regulus fades. Binoculars always come in handy for your Mercury search, especially if the view is murky near your horizon. A third planet, red Mars, is also up before the sun. It lodges very close to Mercury on the sky’s dome, but is considerably fainter than Mercury. In fact, Mercury outshines Mars by about 12 times. We’ve been seeing photos of the pair, so telephoto lenses are catching them. Lacking a camera, you might also try your binoculars. They might let you to see Mars, and, if so, Mars and Mercury may well be in the same binocular field of view. Click here for recommended almanacs. An almanac can help you find the rising times of the sun, moon and planets in your sky. 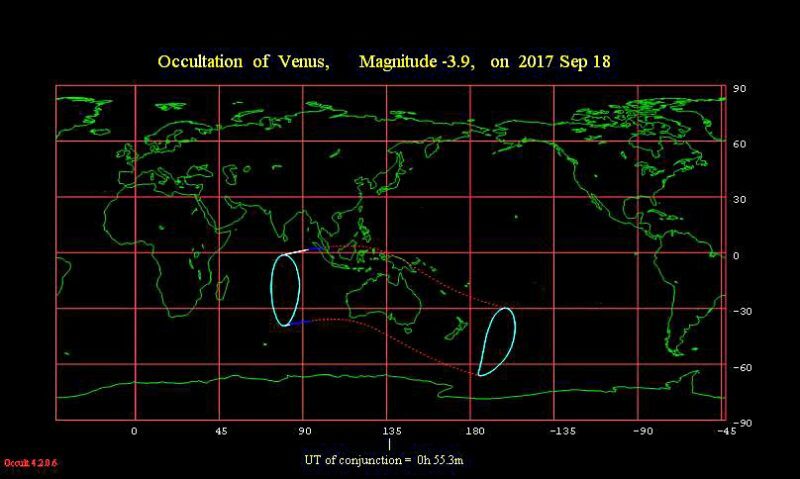 By the way, if you live in Indonesia, Australia or New Zealand, the moon will occult (cover over) Venus during the daylight hours on September 18. Click here for more information about the occultation of Venus. Bottom line: The moon and Venus will be spectacular on the mornings of September 17 and 18, 2017. Given clear skies and an unobstructed eastern horizon, you might also catch Mercury and Mars below the moon and Venus. Good luck! And DOG lived with Man, was a companion to him, and loved him. And DOG was beside Man, all the day long. And Man was comforted. And the Goddess was pleased. And DOG was content and wagged his tail. And the Goddess created CAT to be a companion to Man. And CAT would not obey Man. And CAT would love Man when CAT chose to love Man, and not when Man chose CAT to share affection. And when Man gazed into CAT’s eyes, he was reminded that he was not the supreme being. And Man learned humility. And the Goddess was pleased. And Man was greatly improved. And DOG was happy, and wagged his tail. ….And that’s all Folks! Have a very blessed Saturday!